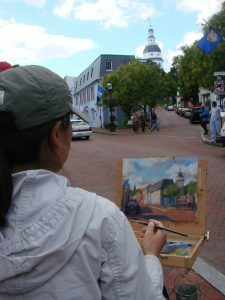 Celebrating Annapolis’ Diverse Arts Scene, Annapolis Arts Week was created to bring together the area’s local artists and musicians for a week of art, food, block parties, events, music, and festivals. 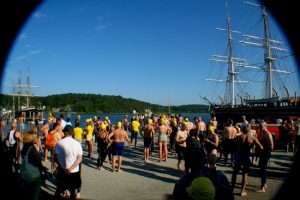 The 3rd Annual Mystic Sharkfest will be a 1500 meter swim from Middle Wharf at Mystic Seaport, down the Mystic River and under the famous Bascule drawbridge to finish at Dock A at Seaport Marine next to Red 36 Restaurant. 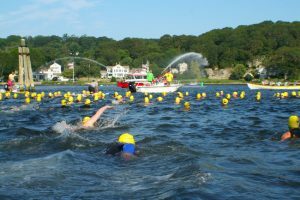 This swim will give you the perfect excuse to visit a classic New England seaport on Long Island Sound. 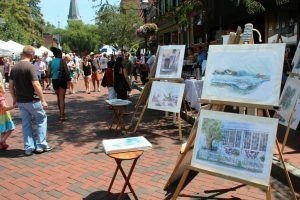 The swim course will take you past the fully restored whaling ship, Charles Morgan and around the Mystic Harbor lighthouse and down river through the picturesque village. Don’t miss the opportunity to explore this small town that is steeped in shipbuilding history. Mystic Seaport is the nation’s leading maritime museum. Its collections and exhibits include over 500 historic watercraft, a major research library, a large gallery of maritime art, a unique diorama displaying the town of Mystic as it was in the 19th century, a ship restoration shipyard, the Treworgy Planetarium, and a re-creation of a 19th-century seafaring village. You will also want to visit the Mystic Aquarium where you can actually pet the sharks…the perfect conclusion to your Sharkfest weekend. 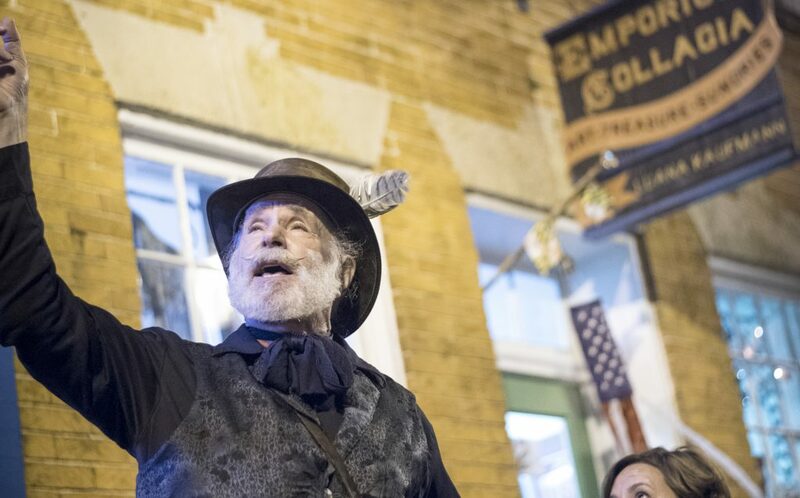 Step through the doors of some of Fell’s Point’s most haunted watering holes for a fascinating haunted pub crawl tour of this historic maritime neighborhood when you partake in Fells Point Wicked History Pub Tour. 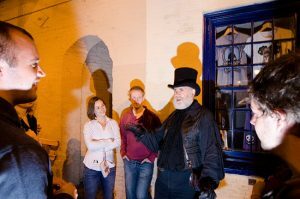 Baltimore Wicked History Tours has been thrilling locals and visitors alike with scandalous tales of Baltimore’s underbelly since 2014. 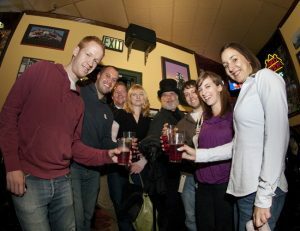 The Fells Point Wicked History Pub Tour lasts between 2-2.5 hours, depending on the tour guide. There are 3-4 pub stops during the course of the tour. 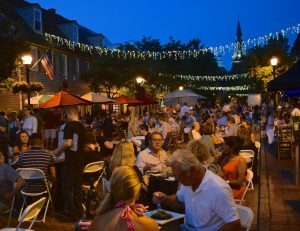 You’ll walk the cobblestone streets of Fells Point and enter some of the most haunted pubs on the shore front. 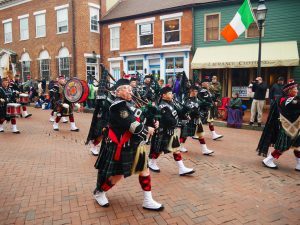 Travel back in time to when Fells Point was a colorful, dangerous place to visit, crawling with sailors, privateers, ladies of the night, and immigrants looking for a better life. Tempers ran hot with people who had nothing to lose and those looking to exploit them. Fells Point also had its bright spots with luminaries like Billie Holiday and Edgar Allan Poe roaming these historic streets. Learn the secrets of this historic maritime village while enjoying an entertaining and knowledgeable view of the era from an amazing story telling tour guide. In a Baltimore Wicked History Tour you’ll experience Baltimore’s scandalous yesteryear in a history lesson like no other. This haunting adventure that some might call downright wicked, is for 21 and older only. The swooping architecture of the building and jaw-dropping 17 metre-high domed ceiling of Canada Hall are visions you will not easily forget after you have visited the newly named Canadian Museum of History (was Canadian Museum of Civilization), which covers Canadian life from AD 1000 to 2000. From now until Sept 28, 2014, you can enjoy the informative exhibit about Snow and the ingenious ways in which Canadians have adapted to difficult winter conditions, from sleighs to snow removal. You can participate in a fun quiz at the end. The museum is a playground for all, as the Children’s Museum takes the kids on travels around the world – including a passport to stamp in each country. All kinds of imaginative play from driving a bus, motorcycle, ship or camel to running a shop, putting on a puppet show, living in a pyramid, moving heavy boxes using a winch, or booking a trip can all be tried out. In the main galleries, visitors see a Viking family arriving in Newfoundland around AD 1000, discover New France through a farmhouse, inn, hospital, shoemaker’s shop and visit a voyageur camp, a lumber camp, a Métis campsite, British military living quarters and a Maritime shipyard. There’s a stroll past shops along the main street of a small town in late 19th-century Ontario. Learn about life in a turn-of-the-century prairie railway station and yard, a Saskatchewan grain elevator, an authentic Ukrainian church, a Chinese hand laundry and a 1920s Alberta oil derrick. You can even sit in Yellowknife’s Wildcat Cafe, the town’s first restaurant and a popular gathering spot for prospectors, bush pilots, miners and trappers. If you love animals, leave time for the up close and personal movie, Kenya 3-D about a safari through Africa. CT: Exit 90 on I-95: Mystic Seaport – Step back in time in this 19th century maritime village offering you everything from tall ships to boarding the very last wooden whaling ship. See a scale model of the area in 1870, figureheads from the bows of ships, a planetarium, a visitors’ gallery overlooking restoration when in progress and the world’s largest collection of nautical photography. 34 mySQL queries executed in 0.405 seconds.